A quick little giveaway to celebrate the end of Celiac Disease Awareness Month! 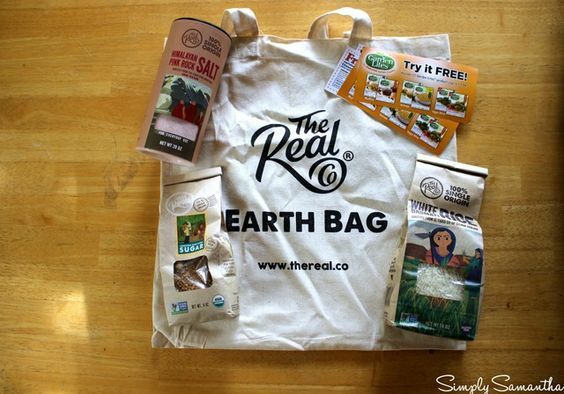 I am giving away ONE swag bag filled with The Real Co. and Garden Lite goodies! We are introducing and pioneering what we believe to be an exciting and transparent new food category and method of sourcing produce globally and delivering it at a local level; named SINGLE ORIGIN. We enter partnerships with farmers and growers around the world who don't have an established mainstream route to distribute their produce and from there we create a way to share their commodity with the world. Tags: #CDAM16, blog reviews, Garden Lites, giveaways, organic, review, the real co. I haven't tried them before but would be super interested in trying them out in new recipes! I would love to try the sugar in my oatmeal! The white bisamati rice would be a perfect side dish to any meal. Plus who wouldn't want to sprinkle some pink rock salt on top of their food.